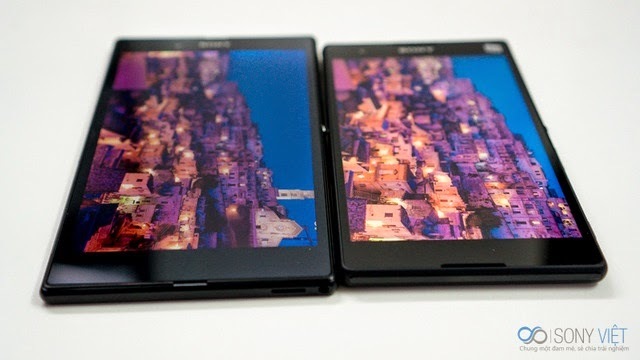 Sony Xperia T2 Ultra vs Sony Xperia Z Ultra. What’s your take? Once again guys, another comparison that I would like to talk about mainly because it crossed my mind, “Should I get the Sony Xperia Z Ultra or the newer version Sony Xperia T2 Ultra?”. So when this happened to me, I am pretty sure those whom are reading right now had though of the same thing, being undecided on which device to get your hands on. Not to worry too much, I would enlighten you with a simple, wise and clearer reason on you to finally decide which one is your cup of tea. One more thing is that, I will be also making a price comparison based on the retail price for each device, so I will be doing that based from my place of origin, Malaysia. I’ll be only focusing on the LTE variants. It’s quite tough to choose which one is a better choice, because these smartphones have their own unique extra features. If you want a smartphone with a good camera, dual sim and cheaper yet value for money, simply get the Sony Xperia T2 Ultra. Or if you would rather get a much premium and slimmer looking smartphone, water proof, with better processor, internal memory, and extra RAM, with a little extra cost, I would suggest getting the Sony Xperia Z Ultra itself. I personally feel that each of the device has its own weakness, such as the camera on the Sony Xperia Z Ultra is only average with no LED flash, and because of this, the Sony Xperia Z Ultra lacks dedicated camera shutter button as well. Moving to the Sony Xperia T2 Ultra, has a wonderful rear camera with LED flash with the dedicated camera button, the RAM however seems really limited despite most of the apps these days requires huge amount of RAM. But don’t forget that the T2 Ultra has dual sim capability and the price itself is not so bad for an LTE enabled device.Do take note the Sony Xperia T2 Ultra has a IPS LCD screen, a much improved screen technology compared to the TFT screen featured on Xperia Z Ultra. What is my choice? I would choose the Sony Xperia Z Ultra, simply because it is waterproof, stunning slim design, better CPU/GPU and RAM with extra internal memory as I usually will not utilize the microSD slot. Last but not least, the Sony Xperia Z Ultra has already received it’s latest OS update, which is the Android 4.4.2 KitKat. Well when the Sony Xperia Z Ultra LTE version came to Malaysia, it retailed at the price of RM2199, and now it’s just RM1699, could you resist it? This is my opinion on these two devices, what about you? State your opinion below in the comment(s) section. Previous ArticleSpotify’s latest update brings you to the dark side? Next ArticleMabuhay! to Spotify as it is now official in the Philippines. Sony to unleash their flagship device of the year 2014, the Sony Xperia Canopus, which has been certified in Japan. Acer Malaysia brings the Liquid Z630s with an impressive price tag of RM799! LEAGOO Elite 4 is now available in Malaysia for only RM499!